Walter E. “Wally” Bockenstedt, 82, of Dubuque, Iowa, passed away April 6, 2019. Beloved husband, father, brother, grandfather, uncle, and friend. Walter’s life will be honored ‪on Saturday, April 27, 2019, at Saint Joseph the Worker Catholic Church in Dubuque, Iowa. Mass of Christian burial will be at 11:00 a.m. Saturday, April 27th, 2019 at St. Joseph The Worker Catholic Church with Rev. Thomas McDermott officiating. Burial will follow in St. Francis Cemetery, Dyersville, Iowa with full military honors accorded by the Dubuque Marine Corps League and Tri-State Vietnam Veterans. Visitation will be from 9:00 a.m. to 11:00 a.m. Saturday, April 27th, at the church. 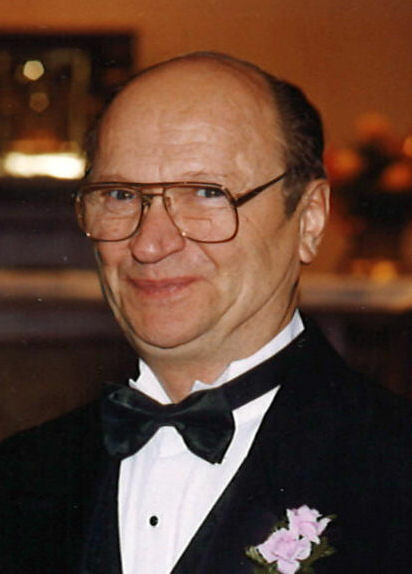 In lieu of flowers a Walter E. Bockenstedt memorial fund will be established. Leonard Funeral Home & Crematory, Dubuque, Iowa is assisting the family. Walter was born to John and Hilda (Hermsen) Bockenstedt and raised on the family farm east of Petersburg, Iowa. He served his country as an Operating Engineer in the U. S. Marine Corps. Walter worked as an Engine Tester with John Deere Dubuque Works for 32 years and was a member of Local UAW 94. In retirement, he was an avid trout angler and volunteered on an emergency response team with the Red Cross and later in the Dubuque Tool Library. He is preceded in death by a son, Daniel; his father and mother; sisters, Ruth Ann Bockenstedt, Jan (Henry) Oberbroeckling, and Pearl (Vic) Meier; and brothers, Irvin and Vernon (Sharon) Bockenstedt; and brother-in-law, Paul Westmark. Cherishing his memory, are Walter’s wife of 54 years, Mary; children, Paul (Cathy) Bockenstedt, of Minnesota and Ann (Andy) Rettenmeier, of Dubuque; grandchildren, Lara and Daniel Bockenstedt, and James and Peter Rettenmeier; sister, Arlene Langel; brothers, John (Dorothy) Bockenstedt, and Virgil (Sue) Bockenstedt; sisters-in-law Valeria Bockenstedt and Toyoko Westmark; brother-in-law Fred Westmark and numerous cousins, nieces, nephews, and friends. The family wishes to express their heartfelt gratitude to the Dubuque Police and Fire Department for their efforts and compassion. There's still time to send flowers to the Visitation at the St. Joseph The Worker from 9:00 AM to 11:00 AM on April 27, 2019.